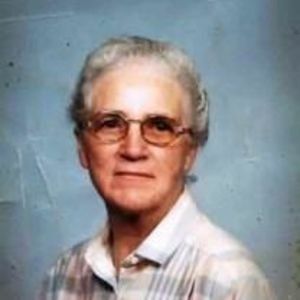 Lea Alice Holland, 90, of Wilson passed away Sunday. Funeral services will be conducted 2:00 p.m. Friday, December 29, 2017, at Thomas-Yelverton Funeral Home, with Rev. Benny Wayne Poythress and Rev. Dr. Doug Murray officiating. Interment will follow in Maplewood Cemetery. The family will receive friends 7:00 p.m. – 9:00 p.m. Thursday, December 28, 2017, at Thomas-Yelverton Funeral Home, 2704 Nash St. N, Wilson, NC. Surviving are five daughters, Betty Jo Montemarano (Frank), Mary Alice Sharpe (“Peanut”), Lynda Jo Farmer (Danny), Janie Holland Knotts and Sheila Gay Lane; two sons, William Russell “Buddy” Holland (Janie Carol) and Jerry Wayne Holland; fifteen grandchildren, Tony, Timmy, Kevin, Ben, Brian, Jessica, Bridgette, Wayne, Heather, Danielle, Joanna, Joe, Jenny, Amanda and Tabitha; seventeen great-grandchildren. She was preceded in death by her husband, Joseph William Holland; a son, Joseph Henry Holland; her parents, George and Elizabeth Lamm Mobley; five sisters; five brothers. Flowers are welcome and memorials may be directed to the Alzheimer’s Association Eastern North Carolina, 5171 Glenwood Ave., Suite 101, Raleigh, NC 27612.